Currently they are the most sought out duo in nyc and have an extensive waitlist. They leave such an impression on their clients, it keeps their demand rapidly growing. Together, they created Bianchi Salon, one of the top salons in NYC for Balayage and Highlighting. Coming from an extensive background in Color and Cutting, and both living in the Lower East side of NYC, they're constantly evolving their techniques and innovating while also studying trends around the world. Their specialty is Faceframing, High Contrast, Color melting, and Super Natural Color for Brunettes, Blondes, and everything in between. They both offer services in LA. "I remember looking at people's hair and imagining what I would do with it...." Hailing from Ukraine, Sofiya has a tremendous passion for Art. And her ability to apply her vision to her client's hair, is a power. She loves being in control of this power and ultimately contributing to how a person can feel. She never stops learning, is constantly inspired, and goes above and beyond to deliver her vision. Her strengths include Haircuts, Platinums, creative color, and Balayage. "Hair is Life, and it allows me to be the best hairstylist I can be everyday." Mallorie had a dream to be a hairstylist in NYC. Coming from Austin, TX, she truly attracts smiles and laughter with her friendly personality. Mallorie's inspo comes from her grandmother who owned a salon and her Love for Fashion. Hair is a major part of Fashion and it allows for limitless creativity. Mallorie specializes in Blondes, Cuts & Styling, and is active in NYFW. "I enjoy making women beautiful using creativity." 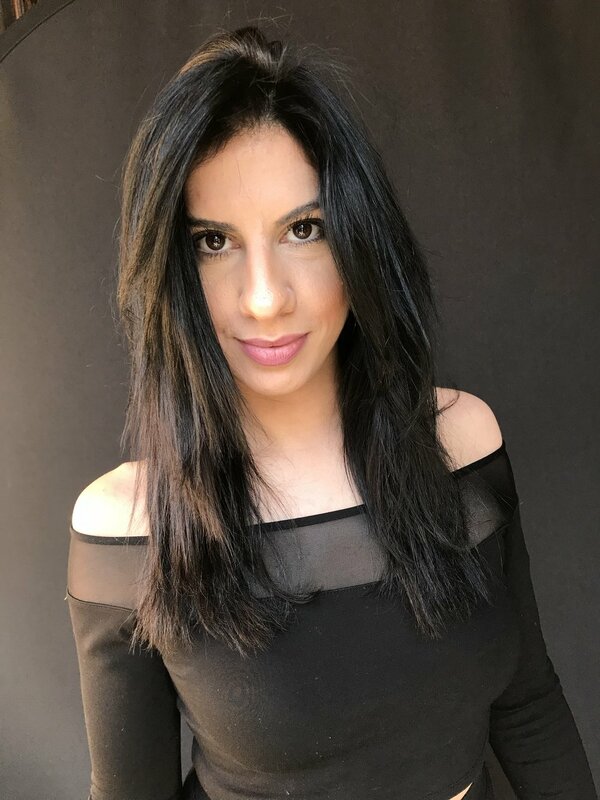 Born and Trained in France, Anthony is well versed in various Balayage and Highlighting techniques and has studied with some of the most elite colorists and also comes from a very strong cutting background; blending, texturizing, and shape. His poise demeanor may be a little quiet, but only because he is very focused on making his clients feel their best. "I get so excited when I see the finished look on my clients!" New York born, however raised and trained in Miami, Stephanie is a blend of art, beachy-ness, and she is a perfectionist. She has trained under both Bianca and Chi and specializes in Dramatic Blondes and Rich Brunettes. When you're in her chair, she is completely devoted until the end. Sahar specializes in all types of Blondes, including Multidimensional Balayage, Sombres and various Highlighting techniques. Rooted in Orange County, Sahar’s specialty is crafting beachy California waves on her client’s hair. Sahar received her education from none other than Toni & Guy. Her passion for Color led her to pursue her dreams in New York City, where she can stay on trend with the latest looks. Sahar also has experience as a platform artist and devotes some time to cutting for the homeless. Seeing her will have you feeling effortlessly Beautiful!